Turn garlic into tonight's dinner! Heat saucepan on medium heat. Add olive oil and onions. Cook stirring occasionally for about 3 minutes or until onions are very softened and sweet smelling. Add the garlic and thyme, cook for another 2-3 minutes but do not brown garlic. Add the bread crumbles and add enough of the broth to cover all the ingredients. Simmer for about 5-10 minutes or until everything is very tender. Puree soup by using a hand mixer or blender. Return soup to pot and season to taste with salt and pepper. 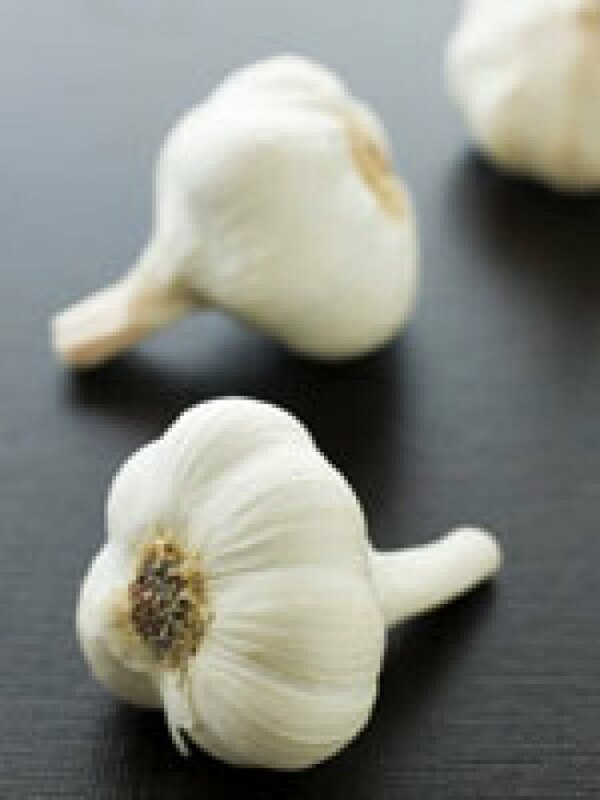 Garnish with sliced sauteed garlic cloves, chives, croutons, and freshly ground black pepper.